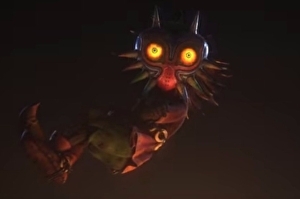 The Legend of Zelda: Majora’s Mask is being adapted into a short film by animation studio and the teaser is very pretty indeed. The short’s music is composed by Theophany, an artist who already released an album of Zelda cover tunes called . Theophany noted on their that the full short will be about three minutes long and is due later this year. It’s unclear if Nintendo is going to shut this project down, but it’s unlikely since it doesn’t use any actual assets from the games. Conversely, Theophany’s Zelda-themed work only makes money on a “pay what you want” donation system via the musician’s .